Reiki Jin Kei Do includes the Eastern teachings of Buddhist healing monks and is a spiritual lineage emphasising the practice of Reiki with meditation to really sense the flow of energy and open the heart with compassion. Reiki can become a way of life, rather than just a healing method. Reiki Jin Kei Do was named by the current Lineage Head, Dr. Ranga Premaratna. Ranga learnt ancient healing and meditation techniques, known as The Buddho System, from a Japanese monk Seiji Takamori. Seiji was ordained at the age of 19 and spent many years training with a monk and Reiki Master, Venerable Takeuchi (Takeuchi had been initiated by Dr. Chujiro Hayashi, a naval officer and medical doctor who trained with Dr. Mikao Usui, the Japanese scholar who rediscovered Reiki in the late 1800s). Seiji dedicated his life to discover more about The Buddho System so that he could deepen his practice and use the method on his path to enlightenment. He studied ancient sutras and spent time with monks living in isolation in the Himalayas. Seiji felt there were definite links between Reiki and The Buddho System. 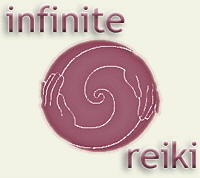 The practice of Reiki Jin Kei Do taught today incorporates those links. Seiji passed away in meditation in 1992 at the age of 85.